Home Other Leagues Manchester City is back on top! Manchester City is back on top! The Citizens are back into the English Premier League first place as they defeated Everton today. 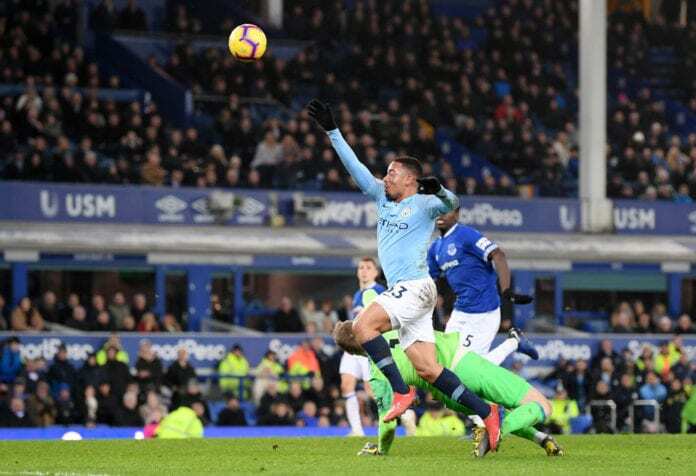 Manchester City added three points to their English Premier League championship search, as they defeated Everton today. Aymeric Laporte scored at the end of the first half, while Gabriel Jesus did the same in the last play of the regular time, and City beat Everton 2-0 tonight. And with that, for the first time after 52 days, the Citizens are back to the first place with 62 points. They have won 20 of their 26 matches, drawing twice and losing four times. But is thanks to their goal difference that they are again on top. City has scored 68 goals, receiving only 20 against. Meanwhile, this has left Liverpool in the second place with the same number of points but a smaller goal difference. The Reds have won 19 or their 25 games, drawing five times and losing once. Liverpool has scored 56 goals, receiving 15 in the process. Manchester City played this game in advance because they are still alive in four competitions. They will host Chelsea on Sunday in English Premier League action, and then will visit six days later Newport County in the FA Cup Fifth Round. The Citizens will have a difficult challenge ahead when they play on February 20th against Schalke in the UEFA Champions League Round of 16. Then four days later they will play in the Football League Cup against Chelsea. They will finish February by hosting West Ham United in the EPL. Manchester City was the 2017-2018 champion thanks to 100 points the team that Pep Guardiola manages made. They are working hard to be back-to-back champions, but they know the challenge ahead is very difficult, with Liverpool having one game less than the Citizens and the chance to return to the top with a new win.